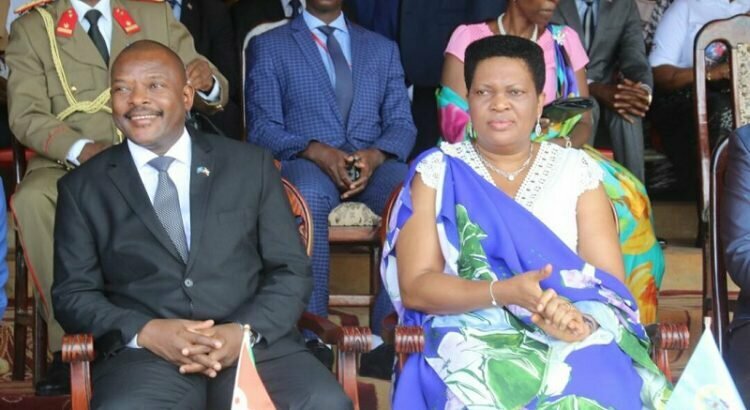 RUTANA / CIBITOKE May 3rd (ABP) – The President of the Republic of Burundi, Mr. Pierre Nkurunziza, joined the people of Rutana (south-eastern Burundi) to celebrate the Labor and Workers Day, a check by ABP revealed. The ceremonies took place at the SOSUMO stadium in Gihofi of Bukemba commune, where the high administrative, military and police authorities of the country were gathered. 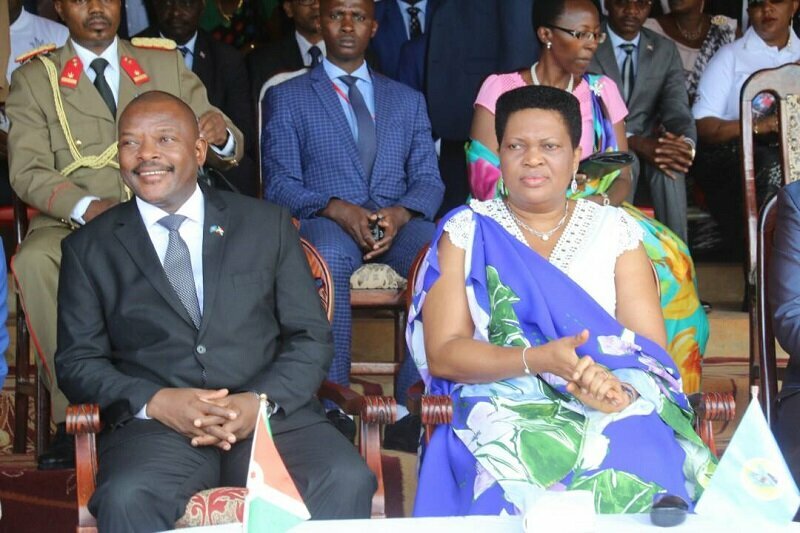 These ceremonies were marked by a long parade that brought together many workers from all the communes of the province and even from Bujumbura, the capital of the country. In his speech, the President of the Republic pointed out that the professions are diverse and complementary. He called on everyone to work harder to move the country forward. This Day, he noted, is an opportunity for all workers to evaluate themselves to see what has been done and what has not been done in order to do better in the future. He said that in this country, no one can miss what to do to develop his nation. “Let everyone self-criticize and realize if what he is doing is really good for the country or not,” Nkurunziza said. The Head of State recalled that the first task God has given to his creatures is to safeguard nature and make it better. For him, if we do nothing to protect it, we will be the first to suffer the unfortunate consequences. That is why God has endowed man with intelligence so that he can safeguard the environment and not cultivate anywhere and anyhow. It is the same for buildings that are made without following the standards of urban planning and without thinking of others. With that, he criticized the construction of houses of more than 30 million Burundian francs without any work of collection of rainwater. For that reason, he set up an Environment Day, organized every month as part of community development works. Speaking of rainwater overflows, President Nkurunziza advised protecting the environment, rather than distorting it. Another highlight of the Workers’ Day celebration was the presentation of awards to State services and individuals who have worked better than others. The services that have had certificates of merit and a reward of two million BIF are the Ministry in charge of Human Rights, Gitega commune for being first in the ranking of communes that have worked well in the framework of the decentralization, the Burundi Revenue Authority for the funds never equaled of the order of 91 billion BIF which it made enter in the State cash desk only in March 2018, the High Court of Bujumbura represented for the judgments that it renders, the DPE Muyinga for having ranked first in the State examination of last year and the regularity-speed in the sending of the reports. Saint-Esprit High Secondary School, ranked first in the State exam, had a certificate of merit and an envelope of 1.5 million BIF. At the individual level, Elizaphon Niyokwizera a student from Nyanza-Lac in Makamba province (south) who had the highest score of 192.5 out of 200 in the State exam of 2016-2017, had a certificate of merit and an envelope of 1 million BIF. Athletes like Francine Niyonsaba, Sada Nahimana and a karate club, also had certificates of merit and an envelope ranging between 2 and 1.5 million. Dr. Elysée Nahimana from Kibimba hospital, specialist in surgery, who agreed to work in the interior of the country to serve people while others are concentrated in Bujumbura and more than 200 others have preferred to stay in Europe, the Provincial Director of Education in Karusi, Mr. Stanislas Manirakiza, for the redeployment done and the reports he gives on time, and Mr. Etienne Nzokirantevye from Bukirasazi for his hotel built on the homestead and job offered to many unemployed from his native commune, each had a certificate of merit and an envelope of 1 million BIF. The President of the Republic finally awarded three women cleaners in the streets of the capital who, for two years, found themselves at the Presidency of the Republic at 5:00 am to cleanliness before the other workers do arrive there. President Nkurunziza gave each woman a certificate of merit and an envelope of one million BIF. He recommended to the Mayor to make them sign a work contract because they worked as day laborers. In Cibitoke province (northwest Burundi), workers from all communes, formal and informal sectors, civil servants and private sector workers, met on Tuesday May 1, 2018 at the provincial headquarters to celebrate the International Day of labor and workers, despite the storm that occurred in the morning, a check by ABP revealed. The celebration came when in the Cibitoke province, the prices on some foodstuffs have dropped by up to 50%, hence workers did not hide their joy. The example is that of rice which is currently bought between 1,200 and 1,300 BIF per kilogram and sweet potato of which an average pile is obtained at 300 BIF, or even 200 BIF. The provincial labor representative, Mr. Edward Icishaka, encouraged workers in his province for the best production in almost every sector, while thanking the government for facilitating the union freedom. He pleaded with the government for the application of the agreements with the workers’ unions. As for the governor of Cibitoke province, Mr. Joseph Iteriteka who read the speech of the day, as pronounced the day before by the President of the Republic, he encouraged the people of Cibitoke to love the work and to collaborate well in the unity to develop the province and the whole country.